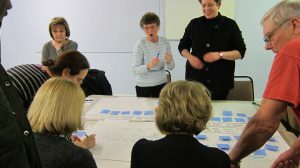 We worked with Watford Community Housing Trust to develop an approach that empowered their residents to play an informed and active role in decision-making about changes to their neighbourhood. 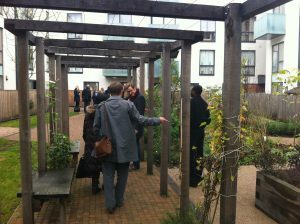 When Watford Community Housing Trust’s Head of New Business attended our Granville New Homes Study Tour, he was inspired to bring a more participatory process to new development on the estates owned and managed by the Trust. In late 2013, WCHT approached us to explore this and together, we identified that the Meriden Estate in Watford would be a good place to develop a programme of Glass-House support for staff and residents. The Glass-House began what would be a long journey of collaboration beginning with an initial exploratory phase with both staff and residents. 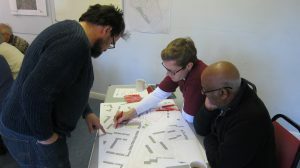 Two workshops in early 2014, open to all Watford Residents and WCHT staff, aimed to ignite a process of exploring the place potential of the estate and to begin the process of change in an inclusive and collaborative way. 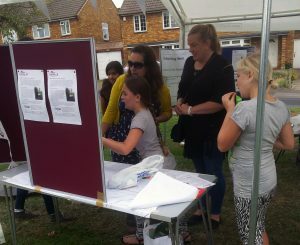 Once we had established that there was an appetite for a joint dialogue about the place potential of the estate, we worked with WCHT staff to develop and support the I ❤ Meriden project, supporting a group of Meriden Placemakers from June 2014 through March 2015. The project aimed to create an open dialogue to explore how community led place improvement projects could sit alongside those led by the Trust to take a more holistic approach to improving the quality of the estate. With the potential for new housing development and the regeneration of shops on the estate, an essential part of Glass-House support was to help staff, residents and local shop owners to work together to develop a shared understanding about the existing qualities of the estate, and of the opportunities and challenges related to new development. 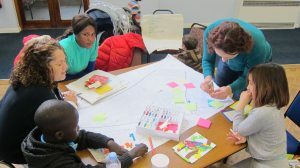 Another key element of Glass-House support was to explore how existing Watford programmes could support community-led placemaking initiatives on the estate. Glass-House support included: strategic support for Trust staff; independent facilitation and enabling at Meriden Placemakers meetings; training and skills development for the Meriden Placemakers group; and enabling wider engagement and communications with residents and local stakeholders. 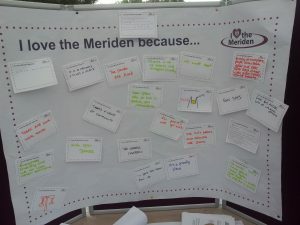 The I ❤ Meriden project marked a considerable change in practice for Watford Community Housing Trust and sparked lively participation and debate on the future of the estate and on how Trust staff and residents should work together looking forward. While the process was not without its challenges, for Trust staff, it introduced a different approach to thinking holistically about place, and about how the different departments could work together through place to meet organisational objectives. 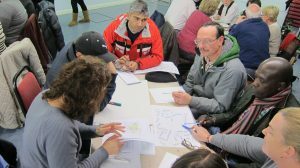 It also opened up a more open and participatory approach to placemaking with residents, going beyond traditional consultation to empowering members of the Placemakers group with new skills and confidence in order to have a more informed dialogue about potential changes to the area. 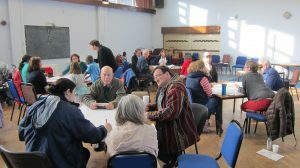 For local residents and shop owners, it was an opportunity to think differently about their relationship with their estate, the Trust and the multiple agencies with a stake in the place. While some remained challenged by the notion of change and increasing the housing density, many saw opportunity in a more collaborative approach to placemaking and with the training and skills development, found a new sense of agency to play an active role in that change.